Lighted L218 - 42" Black Notre Dame (Shamrock) Pub Table by Holland Bar Stool Co.
Home > Team Sports Products > College Team Products > Notre Dame Fighting Irish > Lighted L218 - 42" Black Notre Dame (Shamrock) Pub Table by Holland Bar Stool Co.
Holland Bar Stools LightEDecor furniture is unlike anything else on the market. The black wrinkle table frame is constructed of commercial grade, electro-coated steel along and self-leveling glides. The sublimated, full color, scratch resistant, laminate top it attached with a VOC free, environmentally friendly, hot-melt adhesive. It is finished with a durable, high quality black t-molding. You won find a higher quality logo table top on the market. Now comes the fun part, the interchangeable graphic panels. 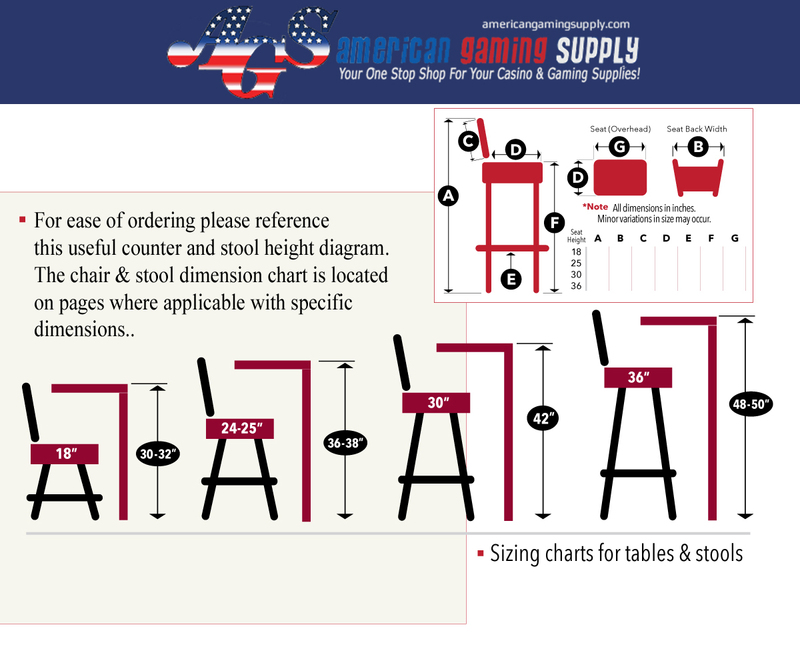 Each table features four interchangeable licensed logo, custom, or standard design panels. These panels are produced from durable lexan and are digitally printed with UV inks for crystal clear, vibrant graphics. Behind all this is a rechargeable LED light unit that is controlled by an IR remote control. The light will last up to 12 hrs on a single charge! The remote control allows you to brighten, dim, and switch between the 16 different static color options, or choose any of the 4 transitional settings (Flash, Strobe, Fade, and Smooth) and watch the colors rotate. If you are looking for something unique to spice up any indoor space look no further than this lighted table from the Holland Bar Stool Co.
Full Color, Sublimated Laminate Top with Commercial, Black T-Molding Best Logo Top on the Market! The sublimated, full color, scratch resistant, laminate top it attached with a VOC free, environmentally friendly, hot-melt adhesive. It is finished with a durable, high quality black t-molding. You won't find a higher quality logo table top on the market. The commercial quality top requires minimal maintenance, a simple wiping with a wet cloth or a mild detergent is all that is needed to remove signs of spills, burns, or stains, whether from liquids, solid foods, or corrosive or sticky substances. Resistant against all types of weather conditions and UV rays, the table top is weather proof, impact resistant, and is scratch resistant. All of this, and it is also environmentally friendly, as table tops are made from sustainable harvested materials.